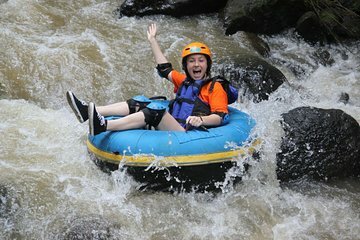 Trade the overcrowded beaches of Bali for an exciting 8-hour tubing tour on the Penet River. Complimentary round-trip transportation from your hotel allows you to skip the stress of arranging a taxi and remain comfortably in vacation mode. Float behind your guide and enjoy the natural landscape during the 2-hour 3.5-km tube ride. After a stop at the Horizontal Natural Caves, end with lunch at a local restaurant overlooking the river valley.